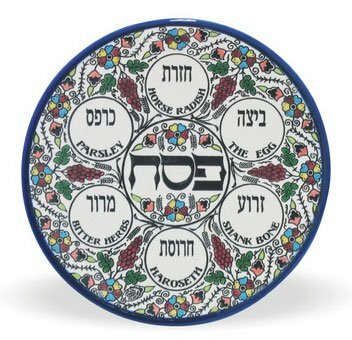 While the Pesach seder itself is perhaps the paradigm of the concept of Jewish tradition or minhag, many families across the world go above and beyond, incorporating their own minhagim into this important night. We asked our members to share some of their family’s Pesach and seder minhagim, and we got some great responses. We hope this post will inspire you to add some of these interesting traditions into your family seder, or maybe it will allow you to appreciate the simplicity of your own family’s seder, if that is what works for you. Binyamin Edinger shares his family’s seder customs and we won’t lie, we sort of want to be invited to their seder! First of all, the men wear tuxedos -- talk about making the night different! The Edingers take to heart the concept of making the seder special for the children involved. They give out candy to the children (of all ages) for asking and answering questions. They also “gamify” the seder -- the family goes around the table and each guest can either read the next paragraph, say a dvar Torah, or pick a dare card (which are made in advance). Binyamin’s mother always made sure to have small afikoman gifts (open and ready for use) for the little kids – this gave them a jolt of energy at the late hour and kept them up to play with the gifts during benching and hallel. Don’t look for apples in the charoset at the Edingers’ seder; they make a Sephardi version with dates and raisins. (If you’re interested, try this recipe.) The Edingers have two “Echad Mi Yodeah” traditions. They sing it in Ladino, and they also allow guests to make their own “Echad Mi Yodeah” -- and the more obscure the reference, the better (for example, “Who knows nine?... Nine are the amot in Og's bed” -Devarim 3:11). The seder isn’t all fun and games; there is opportunity to learn as well. Binyamin’s father-in-law, fellow KMS member Mechy Frankel, always puts an olive on the seder plate to remind everyone what a “kzayit” measurement actually is, although our contemporary measurement system is quite different. Our esteemed shul president, Saul Newman, shared some traditions of the Newman-Baum household. Saul’s maternal grandfather used to say “Shir HaShirim” at the end of the seder. Saul and his daughter Leah continue this tradition, while the rest of the family goes to bed or cleans up from the night. Saul shared a very heartwarming tradition as well. His father used to say a special prayer called “Matzah of Hope” over a special matzah that was set aside for Jews locked behind the Iron Curtain. His father pasted copies of the tefillah in all his haggadot so now, every year at the seder, Saul sees the “Matzah of Hope” tefillah in the haggadot he inherited and thinks about how in some ways our tefillot, hopes, and dreams can come true. Seems that singing “Echad Mi Yodeah” in another language is prevalent across families. Saul tells us that his father had a tradition from his mother’s father, who was born in Ingwiller, Alsace, to sing “Echad Mi Yodeah” in French. Perhaps he is being modest (or maybe it’s the truth), but Saul isn’t super confident in his French or his singing voice so he just recites it to himself in French, which is a shame because his wife, Naomi, majored in French and would probably appreciate Saul’s rendition. Perhaps we should urge Saul to begin singing it out loud. In the 1980’s, Tova Taragin (mother of KMS members and sisters Peninah Gershman and Yehudit Shields) grew so tired of hearing their cousin Ari read the commentary for EVERY step of the seder word for word from the Artscroll haggadah that she decided to start a new family tradition. About a week before the seder, she would call each of the kids invited to the seder and give them 2-3 assignments for the night. The kids would then prepare a d’var Torah or story for their assigned portions. The assignments were always age appropriate. For example, the 4-year-old might sing “the frog song,” while the 14-year-old would share a d’var Torah she learned in school about the four sons. Tova would print an elaborate schedule for the seder (for the 80’s kids in the shul, Print Shop was great for this) including the menu, each child’s parts, songs that their grandmother sang every year, and the seder leader’s credentials. Each child would pay attention during the seder while he or she eagerly waited for a turn. This became such a beloved tradition that the kids would eagerly call Tova weeks before the seder asking for their assignments. The excitement of the Taragin family seder has been passed on to the next generation. Ari, who provided the impetus for the seder assignment program, makes a new game nearly every year for the seder. These include elaborate game boards and “seder bucks” that can be earned for asking and answering questions and traded in at the end of the night for prizes. Benham Dayanim offers some interesting family and Sephardic traditions. The Dayanims’ newest tradition is to place “Miriam’s Cup” on the seder table. This is a cup of clear water that symbolizes the well that travelled with the Jewish people in Miriam’s merit (be’erah shel Miriam). Sephardim have customs that make seder participants really feel as if they experienced yetziat Mitzrayim. For example, when they break the matzah, one or more children take the broken matzah in their hands (or hold it over their shoulders); they are asked, “Where are you coming from?” “Where are you going?” They answer “Egypt” and “Israel.” As part of the experiential nature of the seder, they also hit each other with spring onions (lightly) during “Dayenu.” Benham notes this is a Persian Shirazi custom. The Dayanims uphold other Persian Shirazi traditions, as well. For example, they each pinch the person to their right while reciting “Lefichach” during Magid. Why? To wake up seder participants who might be getting tired. They also have an interesting custom while eating the afikoman. Benham tells us that the goal during tzafon is to eat your piece of matzah while wrapping your arm around your head and trying to reach your mouth. Talk about a workout! Benham also likes to keep things interesting by turning water into blood during the recitation of the makot. We aren’t sure exactly how he achieves this, but the air of mystery must keep the seder interesting! These are just a few of the many ways KMS families celebrate every year during the Pesach seder. It’s no surprise that our shul has such diverse and interesting customs within the framework of a night defined by tradition. We hope you all have a wonderful Pesach and that you enjoy continuing or starting your own Pesach traditions! Chag Sameach!